Fine Art, Birds, Wildlife, Landscapes, Etc..
Chris Kent and Reinette Bryant were married on 25 Aug 2012 on board the Schooner Wendemeen, sailing out of Portland Harbor in Casco Bay. The Reception was held at the Hilton Garden Inn in Auburn, Maine, that evening. The weather was perfect, the seas were calm, and the ceremony was beautiful. I hope you enjoy the photos. It was my pleasure to have the privilege of shooting this special day for Chris and Reinette. Photos of the boat trip, and ceremony were uploaded on 27 August. Photos of the Reception at the Hilton Garden Inn were uploaded on 29 August 2012. 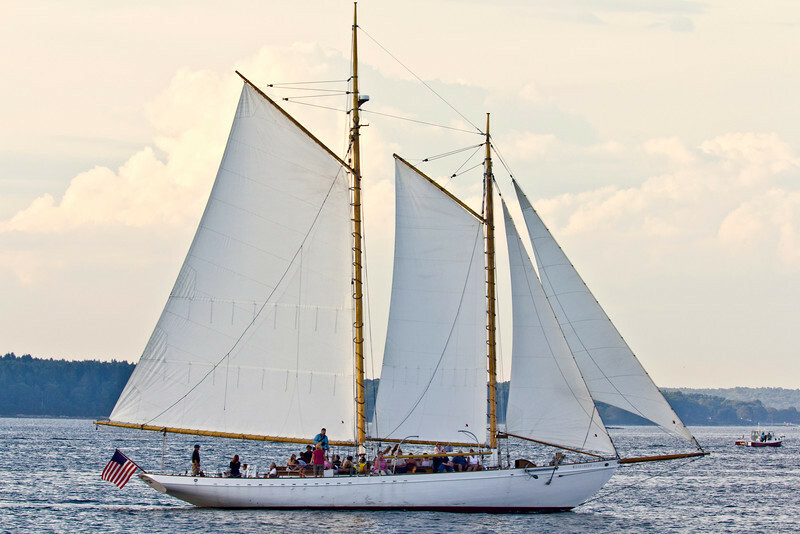 Wendameen, 88-foot Schooner, commissioned in 1912.